As a National Grid customer, do you know you’re contributing to the available rebates and incentives offered by the sponsors of the Mass Save® program? Next time you receive your monthly electric bill, look for the “Energy Efficiency Charge” to see how much you contributed to the Mass Save program. Save time and energy by having Energy Savers Home Performance prequalify your home or property for Mass Save® rebates and incentives. As a Mass Save Partner, we have extensive knowledge of the program including how to expedite the required steps necessary to begin your project, the available rebates and incentives you can leverage to upgrade your home, strategies to maximize your investment in energy improvements, health or safety concerns that need to be rectified before starting a project, scheduling, and more. Contact us or Mass Save to schedule your no-cost Home Energy Assessment. Select us as your preferred contractor and schedule your project on a day that is convenient for you. Complete your project and start enjoying a more efficient, comfortable, and healthy home. Reduce your energy bills and live in a healthier and more comfortable home by participating in the Mass Save program. Available Mass Save rebates and incentives may include up 75% off with no cap on the incentive through 2018 for the installation of approved insulation improvements, no cost air sealing and more. Improve the efficiency and value of your rental property and keep tenants longer by providing a more comfortable environment. Available Mass Save rebates and incentives may include 90% off with no cap on the incentive through 2018 for recommended insulation improvements for each individual unit if all eligible units participate in a 2-4 unit building (or 75% off with no cap on the incentive through 2018 per unit if only some units participate), no cost air sealing and more. Air sealing is a cost-effective way to reduce heating and cooling costs, increase comfort, create a healthier indoor environment, and improve building material durability. How? By limiting the amount of air that leaks in and out of a home, heating and cooling equipment has to run less frequently, indoor air quality improves because moisture laden and polluted air from outside is reduced from entering your home, and building materials last longer because of more consistent environmental conditions. Moisture can wreak havoc in a home. Not only can prolonged moisture compromise building materials, it can also lead to mildew and mold growth. Locating then addressing sources of moisture is critical to the overall health of the home and those who live there. A cost effective method of containing bulk moisture in crawlspaces or basements is to install a vapor barrier over exposed dirt. Heavy plastic that is sealed to the perimeter of a location will prevent ground moisture from traveling through a home resulting in dryer indoor air that no longer smells musty. Besides being one of the top three energy wasters in most homes, leaky ductwork, especially those located in dirt crawlspaces or unconditioned attics can pose real problems. What does that mean for indoor air quality? A supply line leak in an unconditioned attic or musty crawlspace pulls contaminated air into the HVAC system and distributes it throughout your home. Supply line leaks can also create a negative pressure, which can result in additional infiltration of outdoor air into a home. Return leaks on the other hand blow air removed from inside your home into the location where the air handler is located. If the air handler is located in an unconditioned attic, warm conditioned air can condense on cold surface and may over time create mold. The bottom line, seal then insulate your HVAC system if located in an unconditioned space. Doing so will improve indoor air quality and also balance your HVAC system for increased comfort. There are three primary insulation materials we utilize in the Mass Save program: cellulose, fiberglass batts, and rigid foam insulation. Cellulose is the go to choice for green builders and is well suited for insulating exterior walls and attic flats. 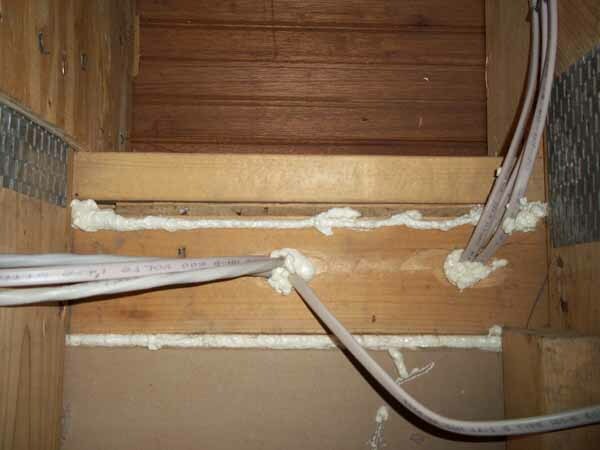 Fiberglass and rigid foam on the other hand are commonly installed together in knee walls and crawlspace ceilings. Regardless of the material used, all insulation slows the transfer of heat through conduction, convention and radiation thus keeping your house warmer in the winter and cooler in the summer. When considering insulation upgrades, assuring proper ventilation is critical to the overall health of the home. Why? Weatherization services change the dynamics of how a home performs. By air sealing, we create a "tighter" home and by adding insulation, homes become warmer or cooler, both in conditioned and unconditioned locations, depending on the season. Therefore, it is critical to address any moisture concerns, specifically ventilating bath, dryer, or kitchen fans to the exterior or adding attic ventilation to provide excess heat or moisture a path to escape. 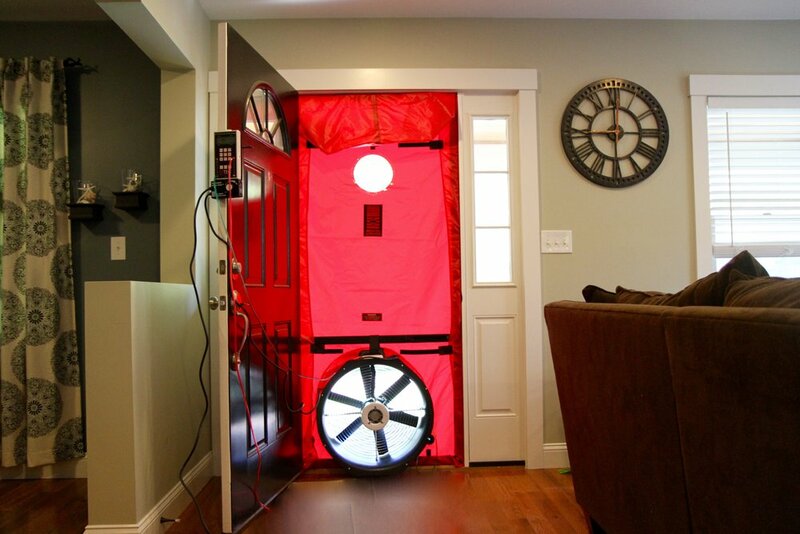 From blower door to thermal imaging and combustion safety testing, we are able to provide customers with critical information about their home. Is the current insulation adequate, are there opportunities to reduce how "leaky" a home is, are the combustion appliances operating efficiently and safely? These are but a few of the questions we can provide definite answers and solutions to. The day of your appointment has arrived. What can you expect? With Energy Savers Home Performance, you are greeted by the owners of the company, the same individuals who scheduled your appointment and who will be carrying out your specific job details. Arriving on time, we first conduct a site walk through and begin our diagnostic testing including a blower door and combustion safety test if safe to do so. Assuming there are no issues that would prevent us from moving forward with your project, our next step is to prep your job site with plastic to assure your personal possessions stay clean. 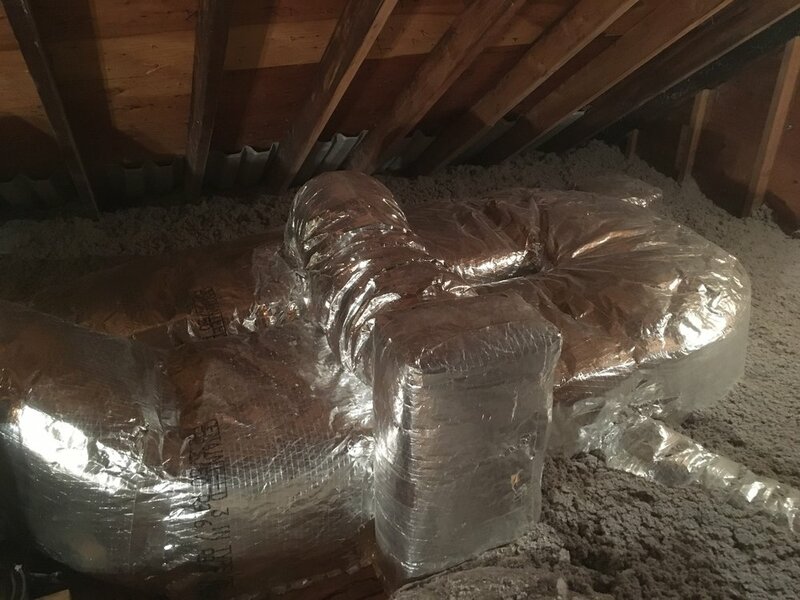 If your project includes attic or knee wall work, we begin by air sealing all penetrations, move onto ventilation measures if necessary, before installing additional insulation. Although subjective, most attic and knee wall work is fairly quiet. If your project includes insulating exterior walls, we follow the same procedures listed above, but conduct most of our work outside. Insulating walls includes removing siding and drilling through the sheathing of a home, which may be noisy for some. Once we insulate a wall bay, we install foam plugs into the hole we drilled and seal the plugs with one part foam. Next we reinstall your siding and clean the job site. While working on our customers' homes, we welcome questions and encourage dialog. Taking a day to complete a typical Mass Save project, you can expect us to inspect all areas of your home in order to assure all areas were treated correctly and to assure no safety or moisture issues exist. Thank you! We'll be in contact with you shortly! Mass Save® is a collaborative of Massachusetts' natural gas and electric utilities and energy efficiency service providers including Berkshire Gas, Blackstone Gas, Cape Light Compact JPE, Columbia Gas of Massachusetts, Eversource, Liberty Utilities, National Grid, and Unitil. We empower residents, businesses, and communities to make energy efficient upgrades by offering a wide range of services, rebates, incentives, trainings, and information. Interested in learning how you can create a more efficient and comfortable home? If so, enter your email to receive energy saving tips, exclusive promotions, and to stay connected with Energy Savers Home Performance.